I received this question recently. First off, if the plants look like they are thriving, you may not have to worry over a few bugs. On the seedlings I raise in the basement, I do have problems with small gnat type flies and also white flies. If I didn’t do anything, the population would get out of control. I have three ways I control basement insects. Yellow sticky traps. These are very effective with the flying insects, but less so with white fly. This might also help with the fruit fly problem at the school. My second method is to use a shop vac with a soft bristle and simply vacuum the plants and remove the bugs mechanically. Be gentle with the plants. My third method is to use Safe Insect Killing Soap. I have had good results with this spray and it should not have any residual effects when you put the plants outside. You could also try a horticultural oil spray which should be safe to use. With the above, first test the spray on one plant to make sure it doesn’t hurt the plant. I would not use anything stronger than the above methods. Aphids love the milkweed that I plant. Since I grow lots of milkweed, I get lots of aphids. Up until approximately June 22nd, I have had a biblical plague of aphids on my milkweed plants. A few days later 90% of them were dead or had disappeared. What happened? I asked that question of Dr. Lincoln Brower, a monarch expert and he suggested that it looked like an insecticide had killed them. Since I don’t use insecticide, I wondered if the mosquito spraying that they do in my city might have killed them. According to one Wall Street Journal article, spraying for mosquitoes will kill bees and butterflies, so why not aphids. According to St. Louis County mosquito control, they use a product called Aqua-Reslin. They also indicated that they only spray after their traps have certain types of mosquitoes. West-Nile virus is something they don’t want in our neighborhood. You can call 314-615-4284 in St. Louis County to see what communities are being sprayed that night. What I have learned is that they don’t spray all the communities listed on each night. For example, this last Thursday they sprayed in Kirkwood, Des Peres and Ladue. The other cities were not sprayed. Ed Spevak who is the Curator of Invertebrates at the St. Louis Zoo has also written a good article on mosquitoes. While my initial thoughts were that the mosquito spraying was killing the aphids, if you look at the picture below you will see the same type aphid death, but I know for sure that there has been no spraying in our neighborhood, because it is the July 4th holiday. Leaf #1 was June 30th. The same leaf is shown as #2 and the picture was taken on June 5th. What is killing these aphids? One option from the University of California indicated that some wasps will lay eggs on aphids. They also say, “Aphids are very susceptible to fungal diseases when it is humid. These pathogens can kill entire colonies of aphids when conditions are right. Look for dead aphids that have turned reddish or brown;” That is certainly St. Louis in the summer and the dead aphids I see are this color. Possibly our hot humid conditions are killing off the aphids. What I will probably try to do in the future is to water my milkweed leaves more often to try and encourage this killer fungus and reduce my aphid population without endangering other insects. On a recent trip to Home Depot, I was looking at some of their plants and they all had neonicotinoid pesticides. They are hiding the pesticide label behind the main label so most people won’t even see the notice. While I complained to Home Depot last year, obviously they are not demanding that their growers stop using these dangerous pesticides. Don’t buy these plants as they will kill local pollinator insects. Here’s a 2013 report on the use of Neonicotinoid pesticides. Here are videos from the University of Missouri and their Center for Agroforestry. While the videos are meant mainly for farmers, it’s also valuable information for any gardener. I saw a recent posting in the “Raising Butterflies and Moths for Conservation” page on Facebook and a woman who was raising Black Swallowtails had run out of food and bought some “organic”parsley. Unfortunately, all the caterpillars died. What I’ve learned is that organic produce can be sprayed with certain pesticides which will kill many caterpillars. BT – Bacillus thuringiensis – is a bacterium which is allowed with organic produce. It’s hard to say what was on the parsley, but BT may have been used. What that now means is that you can’t count on buying food at any grocery store if you plan on feeding it to your caterpillars. 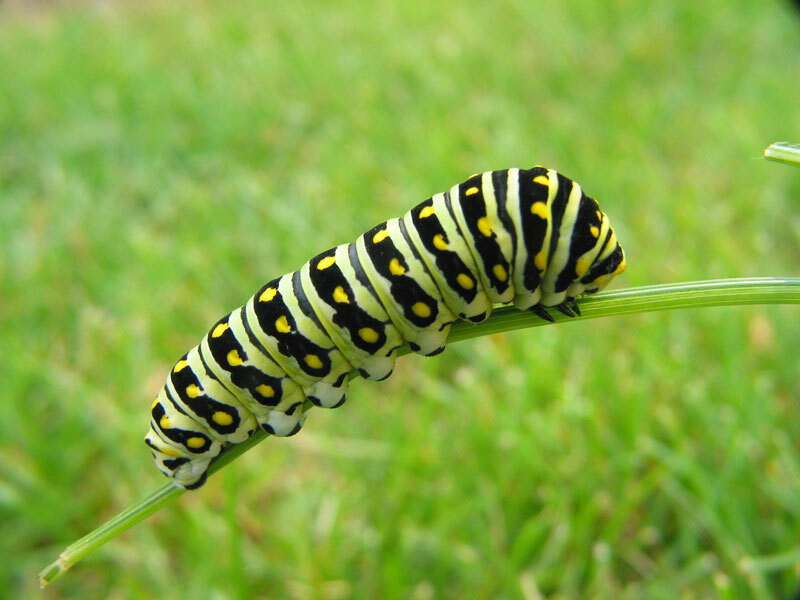 When you are buying new host plants for the garden, instead of buying one plant, buy two or three so that you will have enough host plants when the caterpillars arrive. Obviously, buy plants which don’t have pesticides in the soil. NPR has a good article on the subject. 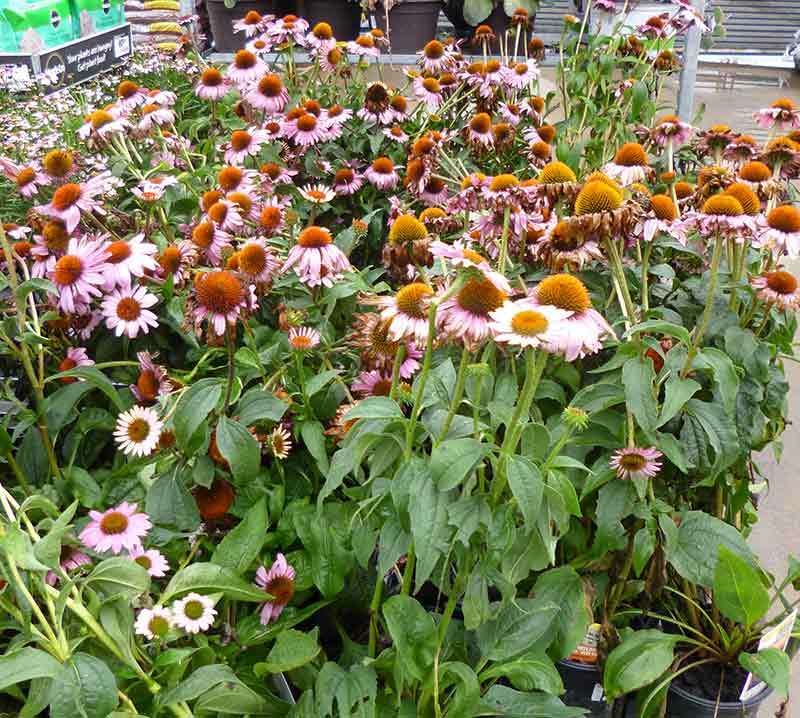 When you go to Home Depot and see these lovely Purple Coneflowers, your first inclination is to buy them and plant them for all the butterflies and bees in the neighborhood. Unfortunately, these plants are filled with Neonicotinoids which are insecticides which would kill any visiting butterflies and bees. 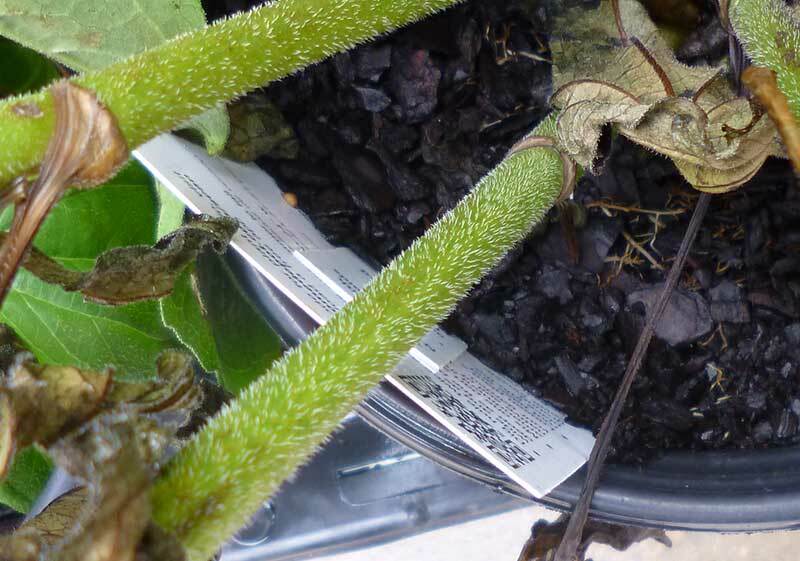 While Home Depot does label these plants, the label is hidden behind the larger identification label. Most people would probably not even see the insecticide label. I’d like to suggest that you not only don’t buy these type of plants, but that you contact Home Depot and tell them to stop selling these types of plants with insecticides. In this post on the Home Depot website, they say that they will stop using neonics by the end of 2018.